Have you ever had one of those Sunday sermons that seemed to just drag on, and with each introduced talking point your frustration grew? For me, these are few and far between. And they absolutely have nothing to do with my Pastor, they are all about me. But this past Sunday, I just couldn’t sit still, waiting for the message to end. I was aggravated at myself more than anything else because I knew in church was where I needed to be. My mind kept wandering to all of the things I had on my continuously growing ‘to do’ list (and it was just my weekend list- things I wanted to accomplish before I went back to work on Tuesday). (Notice that these are things that I wanted to accomplish- not necessarily things that actually needed to get done). The message was great. And when the sermon finally was over, I noticed we seemed to let out a little earlier than usual. So why my impatience? Well, if you knew me, you’d know that patience has never been a strong trait for me. I can get easily frustrated at the tiniest thing. (You should see the aggravation when I carry laundry to the washer then have to go back and pick up items I dropped (stupid socks)). But when you dig down, you see my impatience, frustration, etc. all stem from [me]. For instance, with the laundry- if I didn’t let it pile so high that I can’t carry the load in one shot, I wouldn’t drop socks. Or my list…most of it related back to things I’d put off until last minute, or for so long that it was overwhelming me. (I will not attempt to detail my list, and let you into how crazy my mind really does work at times (mostly)). So coming full circle… am I (are you) more like Stephen accusing the high priest and his court of ‘talking’ too much (and not obeying what they enforce)? Or am I (are you) more like high priest trying to quiet the only person trying to tell Truth? 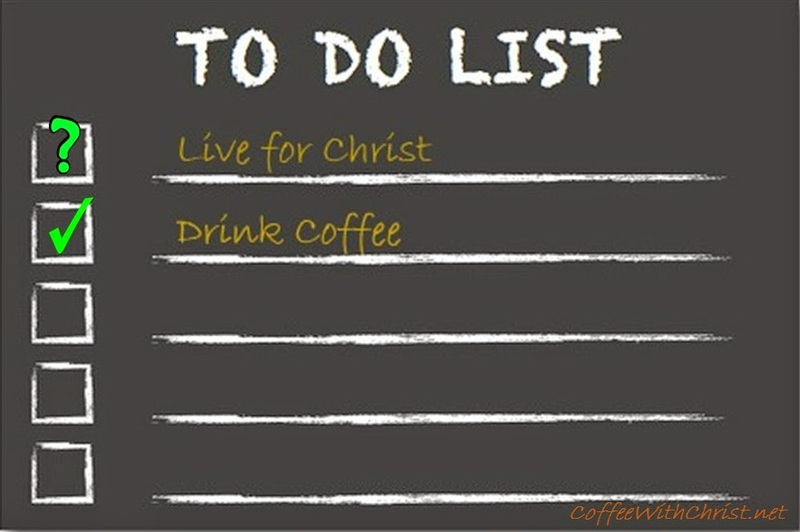 So instead of fidgeting in my seat at church thinking of all the stuff on my ‘to do’ list, I need to remember the only item that must get done: Live for Christ. And make sure I can check it off as complete. In order to give your life for Christ, you must first live your life for Christ.